Well, it's been a while since an update on our dearest copper heiress Huguette Clark. When we last discussed her, we were trudging through the ins-and-outs of her Last Will and Testament and whether or not Wallace Bock, Ms. Clark's attorney and Irving H. Kamsler, her accountant (and known felon), could be trusted. The two had been under investigation from the get-go for potentially miss-handling Huguette Clark's finances and recently, Manhattan Surrogate’s Court Judge Kristin Booth Glen did rule that Bock and Kamsler were “unfit to serve”. Judge Booth Glen suspended them from administrating Huguette Clark’s affairs. Clark’s extremely distant relatives are still challenging her will, claiming fraud - not only by Bock, Kamsler - but, also by her nurse and confidant Hadassah Peri. As we've discussed previously, for the past two decades, almost 17,000 square feet of prime real estate on Manhattan's Fifth Avenue have sat fully furnished with furniture, priceless musical instruments, paintings by the likes of Monet and van Gogh plus, of course, Clarks huge collection of French and Japanese dolls. But, the apartments remained empty. Clark spent the last 20 years of her life in a secluded hospital room - admitted under an alias. 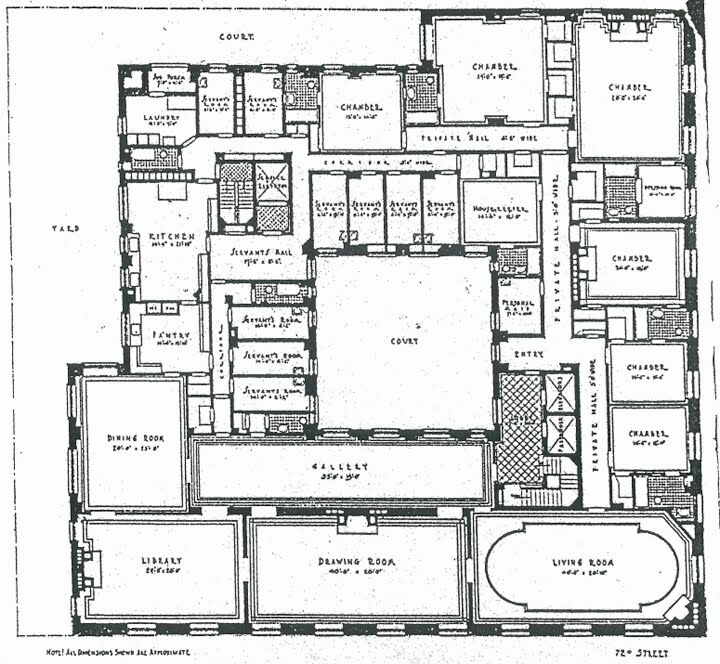 During her absence, the three colossal apartments at 907 Fifth Avenue have been meticulously maintained by Clark's staff - many of whose families had served Clark and/or her mother Anna for generations. Some of the staff that maintains Bellosguardo, her seaside mansion in Santa Barbara, California, say they had never seen the heiress. Even during her last visits, only a select few members of her staff were allowed to see her. Others were kept away. It is also clear that Clark never stepped foot into the 12,766-square-foot Connecticut country house she bought in 1951 - which she called "the Bomb Shelter". The 52-acre "Bomb Shelter" estate - which is currently on the market for $24 million - was to be the place to which Huguette Clark would have relocated should there be any national security issues (like Nuclear War ... hence the name). It is evident that she indeed lived in ultimate seclusion - and, planned to remain in seclusion. Yours Truly had originally reported that the property that Clark owned at 907 Fifth was the entire 12th floor and half of the 8th floor. 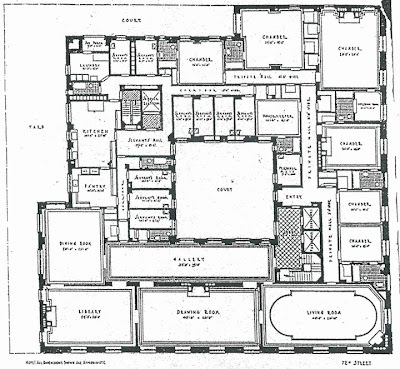 As it turns out, Clark and her mother Anna had moved into the 28 room, 12th floor unit [pictured right] after Clarks father, Senator and copper baron William Andrews Clark, died. When Huguette married in the 1920's Anna rented an apartment on the 8th floor - at which point the 12th floor unit was subdivided into two separate apartments. Two years later when Huguette divorced her husband and came home, Anna's half of the 8th floor was deemed to small for both Huguette and herself. So, the Ladies Clark ended up renting both apartments on the 8th floor and half of the 12th floor (there other half of the 12th floor was occupied). When 907 Fifth Avenue went co-op in the 1950s, the Ladies Clark purchased the three spaces they were renting. 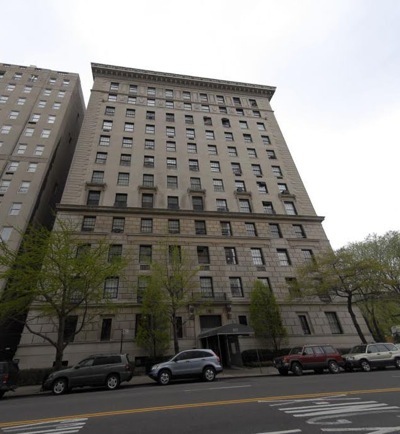 Industry insiders say that eighth-floor apartments could fetch between $20 million and $35 million total - while the 12th floor apartment could have an initial price tag of around $25 million. That is some serious cash. Building permit records show virtually nothing has been done in Clark's 3 apartments. So, it is assumed that behind the locked doors, Huguette Clark's dwellings have remained perfectly preserved, dolls and all, for some 70-80 years, at least. That leaves a hefty challenge (and added price tag) to whomever buys the apartments - especially if they plan to modernize the kitchens and baths, add central air etc. Just as I was publishing my post, the listings for Huguette Clark's apartments went live on the Brown Harris Stevens website. Here's the breakdown with links to the listings: Apartment 12 W is listed at $24 million, apartment 8W is listed at $19 million and, apartment 8E is listed for $12 million. Bringing the sum total to $55 million.